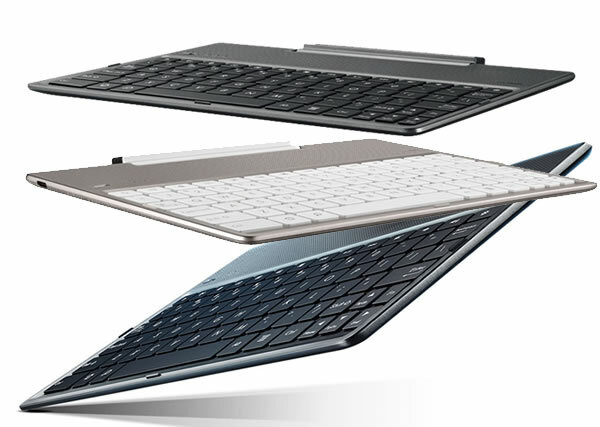 Unlike the Transformer Pad keyboard docks, the ZenPad 10 keyboard dock lacks a trackpad. Instead, Asus opted for a robust speaker setup. It’s actually named the Audio Dock for a reason! It doesn’t provide a battery to charge the tablet as the previous Transformer Pad keyboards did, but it does provide a lighter alternative and up to 12 hours of audio playback. From what we’ve seen on hands-on videos from Computex, we don’t see any additional ports. I am eagerly waiting for this.will it also be launch in India? Best guess would be mid to late July. Stay tuned. We’ll update asap!